We Have Updated Our Card Services To Serve You Better. TVA Community Credit Union is excited to announce improvements to our credit card program, including enhanced security, online account access, a new card design and electronic statement availability. Below are some key dates regarding these updates. If you are traveling internationally, please notify our TVACCU Debit Card Department at 256-386-3000 or toll free 888-274-2128 to avoid any transaction declines. If you are traveling internationally, please call the Member Service number on the back of your Visa Credit Card to set your travel notice and avoid any transaction declines. Use your TVACCU debit and ATM cards, surcharge-free at over 23,000 participating MoneyPass ATMs nationwide. Simply look for the MoneyPass emblem. Locate MoneyPass ATMs on the go with their free app, located in your smart phone app store. Use our convenient MoneyPass Locator Link to access now! Our VISA Credit Card is also an open end credit line. You can make store purchases wherever VISA® is accepted, as well as take cash advances when needed. uChoose Rewards – Earn valuable merchandise with our uChoose Rewards Program! Learn more. Access your account anytime anywhere, 24 hours a day and 7 days a week at onlineaccessplus.com/oa/tvaccu. Pay online through our Online Banking portal, NetBranch. For details, click here. Netbranch Login – This is the preferred access for managing and viewing all credit card activity, including paying your bill. If you want to be able to pay your credit card bill online, you MUST enroll in TVACCU Online Banking. This is an alternative site for viewing transactions and editing account info only. YOU CANNOT PAY YOUR BILL FROM THIS URL – YOU MUST LOG INTO NETBRANCH TO PAY YOUR BILL. If you want to be able to pay your bill online, you must enroll in Netbranch. Netbranch is the preferred access. Manage and Monitor your TVACCU Debit Card with My Mobile Money app. This state of the art app was designed to allow you to personalize your debit card controls and alerts. Download it today from your smartphone app store or click here for additional details. Due to Debit Card Fraud, if you will be traveling to surrounding states and plan to use your TVACCU Debit Card, please contact Debit Card Services at 256-386-3000 to prevent any transaction declines. Toll-free (888) 274-2128. Stop by any TVACCU branch today! TVA Community Credit Union has partnered with MoneyPAss to give you nationwide access to over 23,000 surcharge-free ATMs when using your TVACCU ATM or Debit Card. Locate surcharge-free MoneyPass ATMs on the go nationwide with the free MoneyPass app, located in your smartphone app store. Use our convenient MoneyPassLocatorLink to access now! TVA Community Credit Union is changing the credit card processor to better serve your credit card needs. This change requires that a new card be issued. No. Your existing card will not work after 01/21/2019 at 6:45 a.m. Eastern time. Instructions will come with your new card to ensure it is ready to use on or after 01/21/2019. 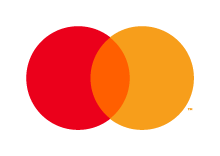 EMV stands for Europay, Mastercard® and Visa®. EMV chip technology is becoming the global standard for credit card and debit card payments. This smart chip technology features credit cards with embedded chips that that will help increase security and reduce fraud. This standard has many names worldwide and may also be referred to as: "chip and signature." My spouse and I both have TVACCU credit cards, and I only received one card. Will my spouse receive a card? Yes. As a security feature, all cards being issued with this conversion will have a unique number and will arrive separately. If your spouse currently does not have a card, they will not receive one unless you call and request one after 1/21/2019. However, you will continue to receive only one bill, regardless of the number of cards on the account. What do I need to do if I have preauthorized or recurring payments that are tied to my existing TVACCU credit card? To ensure there is no interruption in recurring or preauthorized payments (such as monthly telephone, electricity, gas bills, insurance, clubs), contact the merchant on or after 01/21/2019 with your new card number and expiration date. Yes. The new address will be included on the statement. If you pay this bill through online bill payment, you will need to update the mailing address to P.O. Box 2711, Omaha, NE 68103-2711 on or after 01/21/2019 to ensure that your payment reaches the processor by your due date. To ensure there is no interruption in automated payments, contact the provider of this service (i.e., another bank or bill pay service) on or after 01/21/2019 and provide your new card number and payment address of P.O. Box 2711 Omaha, NE 68103-2711. No - You will not be able to access statements/history online as of 01/21/2019, so we recommend you save the statements to your computer or print hard copies before this date. How do I pay my credit card bill and view my transactions? You can pay your bill by calling Visa Member Service at 855-650-7812 or by logging into your TVACCU Netbranch Online Banking account. You can also view all credit card activity by logging into your TVACCU Online Banking account. UChoose Rewards® is a program that earns you points for using your TVACCU credit card. All TVACCU VISA® credit cards with rewards are automatically enrolled in the program. You can redeem your points toward anything from our huge online rewards catalog found at www.uchooserewards.com. No, you will start earning points the first time you make a transaction with your new credit card; however, you will need to register your card before you will be able to redeem your points. To register your card, visit www.uchooserewards.com and click the Register link. Please visit www.uchooserewards.com starting 01/22/2019. On the right side, you will see “New to UChoose Rewards?” with a Register link. Click Register, and then enter your card number. Once your card is authenticated, it will ask to establish your user name and password. Follow the instructions as provided. You earn points everywhere your VISA® credit card is accepted. Participating retailers offer additional reward points for purchases made at their stores or online. A list of participating retailers can be found at www.uchooserewards.com. It can take up to 40 days for your points to be credited to your account. You must first accumulate 1,500 points before you can redeem them. Your points are available to view on www.uchooserewards.com. Here you can keep track of the points you’ve earned, and then shop the online rewards catalog when you’re ready to redeem. A Wish List Tracker is also available to notify you when you’ve earned enough points to redeem a specific item. There’s no cost to participate. Membership in UChoose Rewards® is free as part of your TVACCU credit card plan. Visit www.uchooserewards.com to start monitoring your points and browsing our online catalog.